We held our first Live Distant Group Sound Healing Session on Facebook on December 17 2016. Within 24 hours, the replay had been viewed over 1,000 times on Facebook, and we’ve received many wonderful positive comments. Thank you to everyone who has commented and given us feedback. Monika Vasic Thank you very much! 🙏🏼This was nice! Enjoyed it. My big toe on right foot was wiggeling and dancing a lot as a reaction. Kathy Cameron · thank you Tony; that was really lovely. looking forward to future offerings. We're delighted that the live event streamed continuously on Facebook for the scheduled 30 minutes. We're also pleased that the sound quality was good. However, we're aware that there's a lot of room for improvement and we're working on making it better for future live sessions planned for 2017. We want to sync the sound and video better. We'd also like to get a better picture quality and have more varied camera angles. We can improve on the admin and support for the event as some people struggled to find the live stream. We also didn't manage to go live simultaneously on YouTube as we intended. Still, we're happy that it went so well for our first live event on Facebook, and we're looking forward to the next one. 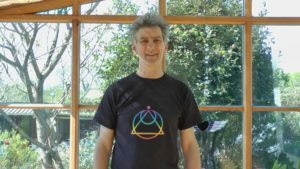 In this video Tony Nec, the Principal of the Sound Healing Academy, outlines how our Distant Sound Healing process works. This is the second part of a 2-part series. The 10 Steps of our unique Integral Sound Healing Process for working with groups is covered. It’s best to view this video before you join us on the first live sound healing session as it explains what will happen and how you can fully engage in the process to maximise your self-healing. In the video below, Tony Nec outlines how our Distant Group Sound Healing works LIVE on YouTube and Facebook. This is the 1st part of a 2 part series. This is a very powerful healing process, that often produces what some people call ‘miraculous’ outcomes. Usually, this is a result of people engaging fully in the sound healing process both live and when watching replays. 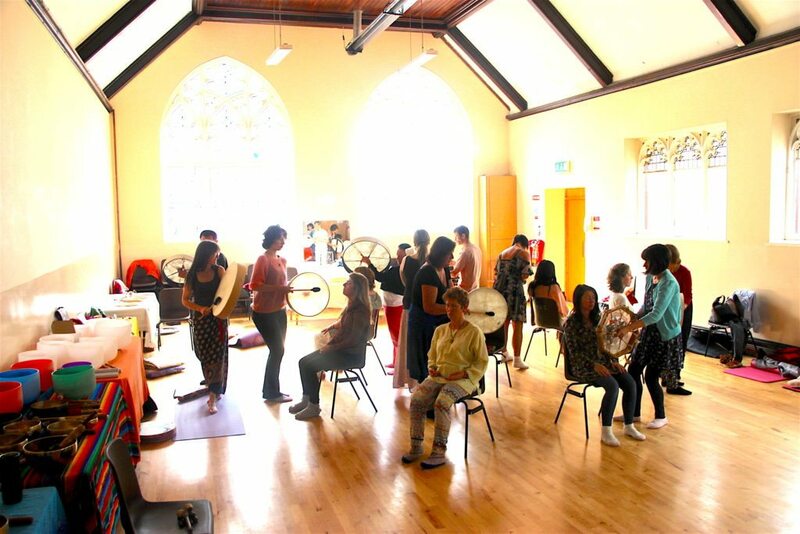 This Integral Sound Healing Process has been tried and tested by the Sound Healing Academy over the past 13 years, since we began teaching sound healing and running group workshops in 2003. 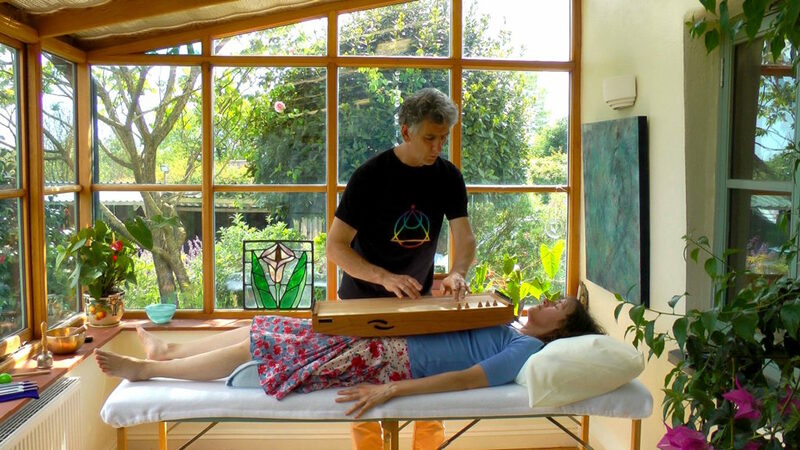 The International Sound Healing Academy now offers a Masterclass in Sound Healing with Voice in Cornwall, UK with Tony Nec. Experience for yourself the Healing Power of Vocal Sounds! Learn advanced skills and techniques with voice for working 1-2-1 with clients and creating vocal soundscapes with groups. Build confidence and free your voice! 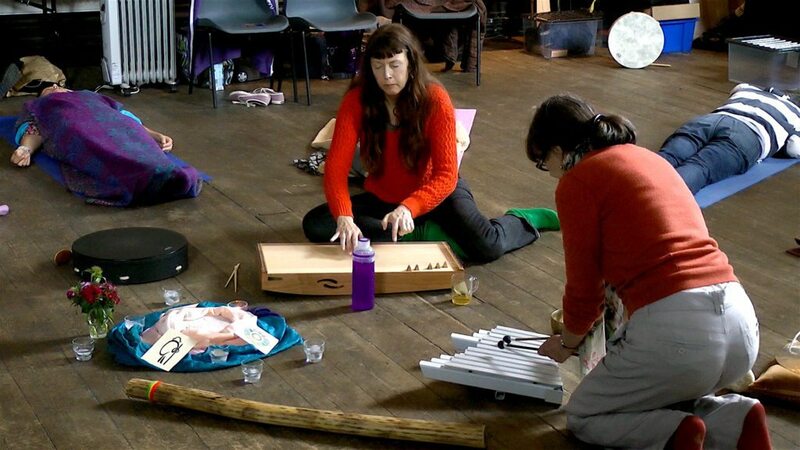 Join us in the Sound Healing Studio at Carenza, Cornwall! This is a healing paradise - an oasis of peace and calm...! Option 1: Join this course as a stand-alone masterclass workshop. This option is for you if you already have (or you are studying for) another Level 2 Diploma with us, for example a multi-instrument Diploma, and you want to dive more deeply into vocal sound healing, to build confidence and free your voice. It is also a great option for singers and choir leaders who want to develop their skills in vocal sound healing for working 1-2-1 with clients and / or with groups. 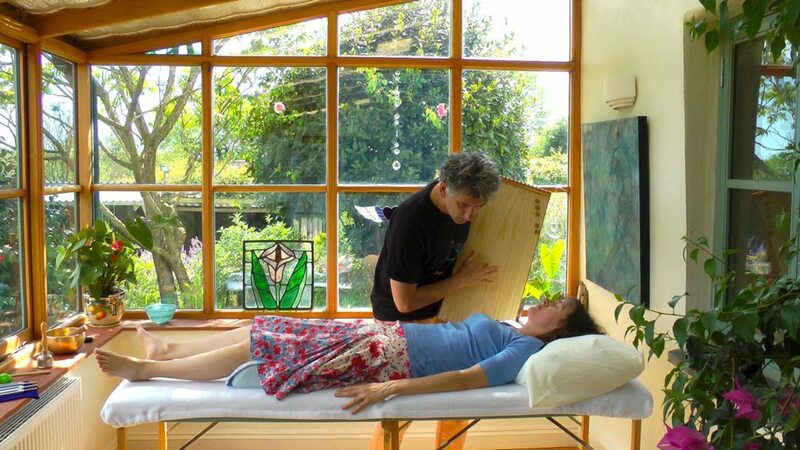 Option 2: Upgrade to our Level 2 Practitioner Diploma in Integral Sound Healing With Voice. This option is for you if you want to work professionally with your healing voice and you do not have (or you are not already studying for) another Level 2 Diploma from us. This is a comprehensive and inspiring 4-day workshop-based course! Access to our world-class online learning centre - so you can revise what we cover in the workshop and learn more!. 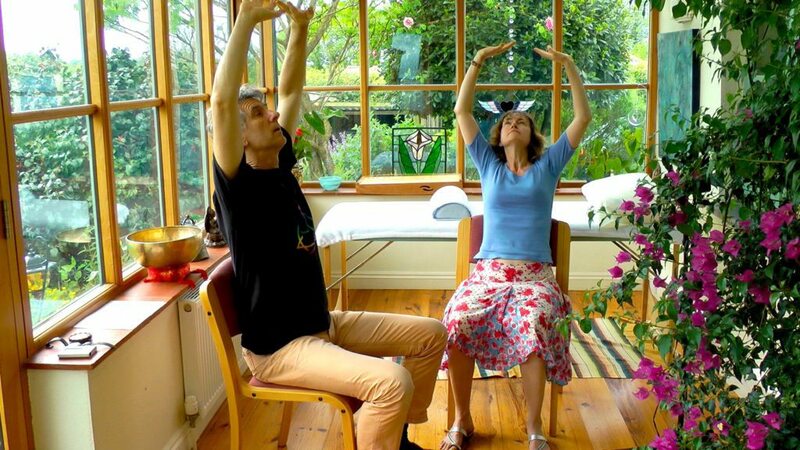 On each day of this practical, hands-on workshop course there will be some gentle warm-up exercises and a sound bath meditation. You will have the opportunity to practice the techniques taught in the workshop. This will be a highly interactive workshop. There will be mix of talks & demonstrations plus practicing on your own, 1-2-1 and collectively in the group. 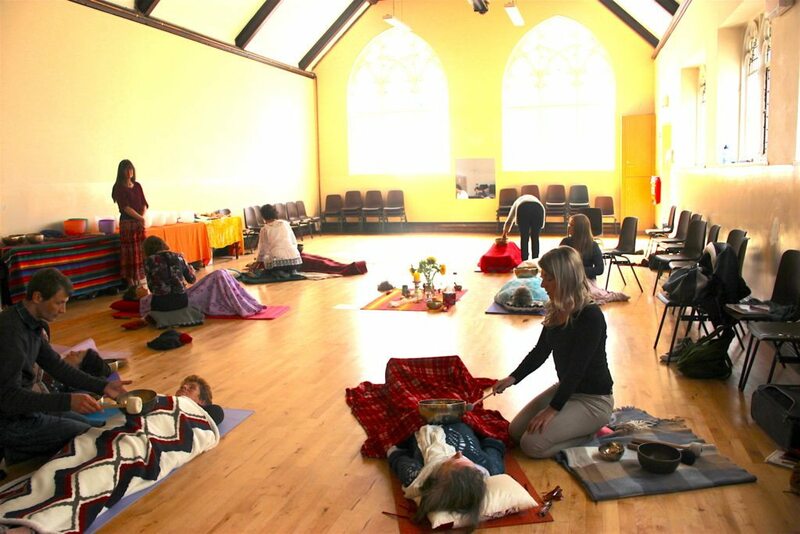 To join this Masterclass you must already have taken a Level 1 sound healing course with us, or have a similar qualification from another school, college or academy. (You will be asked to send us a copy of your certificate). Tony has over 25 years of experience as a healer, coach and teacher. Jane and Emily are experienced singers and choir leaders. They have developed and led a wide variety of vocal and music groups for all ages and abilities. 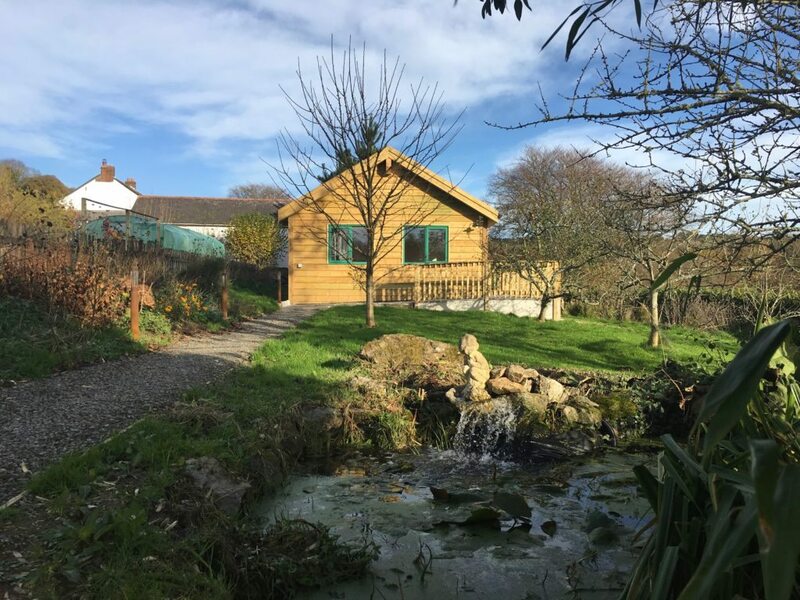 The Sound Healing Studio is located 1 mile outside the small town of Lostwithiel, the ancient capital of Cornwall. There are many ancient sacred sites in the surrounding area, so it's a magical place to visit and explore working with healing sounds. 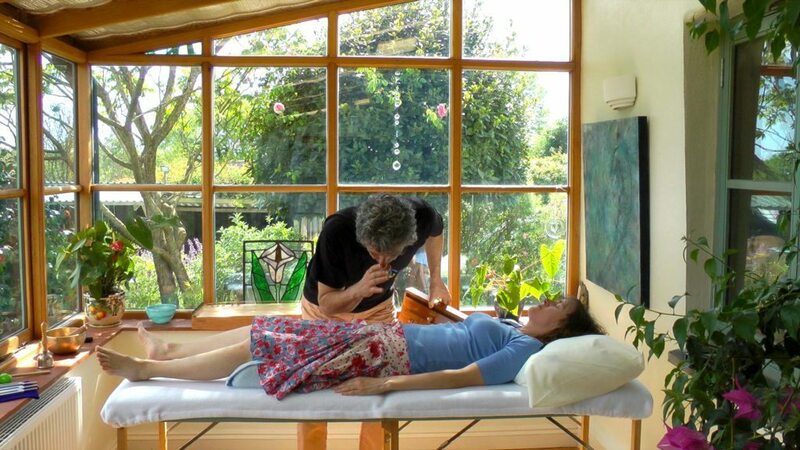 There is space in the Sound Healing Studio to comfortably hold a group of 12 people. This means that the level of personal tuition is very high on this Masterclass. We can arrange transport for you from the station. A limited number of spaces for free parking is available at the venue. If you plan to arrive by car, please reserve your space in advance. The course fee does not include accommodation or meals. We are happy to provide details of local places to stay and eat. There are a limited number of places available, and this workshop is likely to sell out. Secure your place to avoid being disappointed later. Book with a deposit of £50. Please contact us to book your place now! Sound healing instrument produce sonic waves with mixed frequencies mostly between 30 and 5000 Hz. Therefore, the vibrations which are produced lie within a frequency range that can be directly felt at the point of contact and in the surrounding area. In this sense sound healing can be compared to local vibration therapy. The deep penetrative effect of sound wave treatment can be attained by both direct application to the bone and to relatively soft tissue. Marconi B., Filippi G.M., Koch G., Giacobbe V., Pecchioli C., Versace V., Camerota F., Saraceni V.M. & Caltagirone C. (2011). Long-term effects on cortical excitability and motor recovery induced by repeated muscle vibration in chronic stroke patients. Neurorehabilitation and Neural Repair. 25(1):48-60. Murillo N., Valls-Sole J., Vidal J., Opisso E., Medina J. & Kumru H. (2014). Focal vibration in neurorehabilitation. European Journal of Physical and Rehabilitation Medicine. 50:231-42. Tavernese E., Paoloni M., Mangone M., Mandic V., Sale P., Franceschini M. & Santilli V. (2013). Segmental muscle vibration improves reaching movement in patients with chronic stroke. A randomised controlled trial. NeuroRehabilitation. 32(3):591-9. Caliandro P., Celletti C., Padua L., Minciotti I., Russo G., Granata G., La Torre G., Granieri E. & Camerota F. (2012). Focal muscle vibration in the treatment of upper limb spasticity: a pilot randomised controlled trial in patients with chronic stroke. Archives of Physical Medicine and Rehabilitation. 93(9):1656-61. Camerota F., Celletti C., Don R., Nucci F. (2013). Preliminary evidence of the efficacy of the repetitive muscle vibration therapy in chronic foot drop. Acupuncture and Related Therapies. 1(2-3): 27-30. Casale R., Damiani C., Maestri R., Fundaro C., Chimento P. & Foti C. (2014). Localized 100 Hz vibration improves function and reduces upper limb spasticity: a double-blind controlled study. European Journal of Physical and Rehabilitation Medicine. 50:495-504. Hagbarth K.E. & Eklund G. (1968) The effects of muscle vibration in spasticity, rigidity, and cerebellar disorders. Journal of Neurology, Neurosurgery & Psychiatry. 31(3):207-13. Liepert J. & Binder C. (2010). Vibration-induced effects in stroke patients with spastic hemiparesis–a pilot study. Restorative Neurology and Neuroscience. 28(6):729-35. Lin H.N., Nagaoka M., Hayashi Y. & Hatori K. (2012). Effect of vibration stimulation on dysbasia of spastic paraplegia in neuromyelitis optica: a possible example of neuronal plasticity. BMJ Case Reports. 10.1136/bcr-2012-006793. Murillo N., Kumru H., Vidal-Samso J., Benito J., Medina J., Navarro X. & Valls-Sole J. (2010). Decrease of spasticity with muscle vibration in patients with spinal cord injury. Clinical Neurophysiology. 122(6):1183- 9. Noma T., Matsumoto S., Shimodozono M., Etoh S. & Kawahira K. (2012). Anti-spastic effects of the direct application of vibratory stimuli to the spastic muscles of hemiplegic limbs in post-stroke patients: a proof-of-principles study. Journal of Rehabilitation Medicine. 44:325-330. Paoloni M., Giovannelli M., Mangone M., Leonardi L., Tavernese E., Pangrazio di E., Bernetti A., Santilli V. & Pozilli C. (2013). Does giving segmental muscle vibration alter the response to botulinum toxin injections in the treatment of spasticity in people with multiple sclerosis? A single-blind randomised controlled trial. Clinical Rehabilitation. 27(9):803812. Paoloni M., Mangone M., Scettri P., Procaccianti R., Cometa A. & Santilli V. (2010). Segmental muscle vibration improves walking in chronic stroke patients with foot drop: a randomized controlled trial. Neurorehabilitation and Neural Repair. 24(3):254-62. Celletti C. & Camerota F. (2011). Preliminary evidence of focal muscle vibration effects on spasticity due to cerebral palsy in a small sample of Italian children. Clinical Therapeutics. 162(5):125-128. Eklund G. & Steen M. (1969). Muscle vibration therapy in children with cerebral palsy. Scandinavian Journal of Rehabilitation Medicine. 1(1):35-37. Katusic A., Alimovic S. & Mejaski-Bosnjak V. (2013). The effect of vibration therapy on spasticity and motor function in children with cerebral palsy: a randomized controlled trial. NeuroRehabilitation. 32(1):1-8. Johannsen L., Ackermann H. & Karnath H.O. (2003). Lasting amelioration of spatial neglect by treatment with neck muscle vibration even without concurrent training. Journal of Rehabilitation Medicine. 35(6):249-53. Kamada K., Shimodozono M., Hamada H. & Kawahira K. (2011). Effects of 5 minutes of neck-muscle vibration immediately before occupational therapy on unilateral spatial neglect. Disability and Rehabilitation. 33(23-24):2322-2328. Karnath H.O., Christ K., Hartje W. (1993). Decrease of contralateral neglect by neck muscle vibration and spatial orientation of trunk midline. Brain. 116:383–96. Karnath H.O, Reich E., Rorden C., et al. (2002). The perception of body orientation after neck-proprioceptive stimulation: effects of time and of visual cueing. Experimental Brain Research. 143:350–8. Saevarsson, S., Kristjansson, A., & Halsband, U. (2010). Strength in numbers: Combining neck vibration and prism adaptation produces additive therapeutic effects in unilateral neglect. Neuropsychological Rehabilitation. 20(5), 704-724. Schindler, I., & Kerkhoff, G. (2004). Convergent and divergent effects of neck proprioceptive and visual motion stimulation on visual space processing in neglect. Neuropsychologia. 42(9), 1149-1155. Schindler I., Kerkhoff G., Karnath H.O., Keller I. & Goldenberg G. (2002). Neck muscle vibration induces lasting recovery in spatial neglect. Journal of Neurology, Neurosurgery and Psychiatry. 73(4):412-9. Jöbges E.M., Elek J., Rollnik J.D., Dengler R. & Wolf W. (2002). Vibratory proprioceptive stimulation affects Parkinsonian tremor. Parkinsonism & Related Disorders. 8:171-176. King L., Almeida Q.J. & Ahonen H. (2009). Short-term effects of vibration therapy on motor impairments in Parkinson’s disease. NeuroRehabilitation. 25:297-306. Valkovic P., Krafczyk S., Saling M., Benetin J. & Bötzel K. (2006). Postural reactions to neck vibration in Parkinson’s disease. Movement Disorders. 21(1):59-65. Gow D., Hobson A.R., Furlong P. & Hamdy, S. (2004). Characterising the central mechanisms of sensory modulation in human swallowing motor cortex. Clinical Neurophysiology. 115: 2382–2390. Lowell S. Y., Poletto C. J., Knorr-Chung B. R., Reynolds R. C., Simonyan K., & Ludlow C. L. (2008). Sensory stimulation activates both motor and sensory components of the swallowing system. Neuroimage. 42(1), 285-295. Steele C. M. & Miller A. J. (2010). Sensory Input Pathways and Mechanisms in Swallowing: A Review. Dysphagia. 25(4): 323–333. Guieu R., Tardy-Gervet M.F. & Giraud P. (1993). Substance P-like immunoreactivity and analgesic effects of vibratory stimulation on patients suffering from chronic pain. Canadian Journal of Neurological Sciences. 20(2):138-41. Lundeberg T., Nordemar R. & Ottoson D. (1984a). Pain alleviation by vibratory stimulation. Pain. 20(1):25-44. Lundeberg T. (1984b). Long-term results of vibratory stimulation as a pain relieving measure for chronic pain. Pain. 20(1):13-23. Lundeberg T. (1984c). The pain suppressive effect of vibratory stimulation and transcutaneous electrical nerve stimulation (TENS) as compared to aspirin. Brain Research. 294(2):201-9. Lundeberg T. (1985b). Relief of pain from a phantom limb by peripheral stimulation. Journal of Neurology. 232(2):79-82. Lundeberg T., Ekblom A. & Hansson P. (1985c). Relief of sinus pain by vibratory stimulation. Ear Nose & Throat Journal. 64(4):163-7. Lundeberg T., Abrahamsson P., Bondesson L. & Haker E. (1987). Vibratory stimulation compared to placebo in alleviation of pain. Scandinavian Journal of Rehabilitation Medicine. 19(4):153-8. Lundeberg T., Abrahamsson P., Bondesson L. & Haker E. (1988). Effect of vibratory stimulation on experimental and clinical pain. Scandinavian Journal of Rehabilitation Medicine. 20(4):149-59. Ekblom A. & Hansson P. (1985b). Extrasegmental transcutaneous electrical nerve stimulation and mechanical vibratory stimulation as compared to placebo for the relief of acute oro-facial pain. Pain. 23(3):223-9. Peltz E, Seifert F, Decol R, Dorfler A, Schwab S & Maihofner C. (2011). Functional connectivity of the human insular cortex during noxious and innocuous thermal stimulation. Neuroimage. 54(2):1324–35. Salter M. W. & Henry J. L. (1990a). Differential responses of nociceptive vs. non-nociceptive spinal dorsal horn neurones to cutaneously applied vibration in the cat. Pain. 40(3):311–22. Salter M. W. & Henry J. L. (1990b). Physiological characteristics of responses of wide dynamic range spinal neurones to cutaneously applied vibration in the cat. Brain Research. 507(1):69–84. Staud R., Robinson M.E., Goldman C.T., Price D.D. (2011). Attenuation of experimental pain by vitro-tactile stimulation in patients with chronic local or widespread musculoskeletal pain. European Journal of Pain. 15(8):836-42. Tommerdahl M, Delemos K.A, Whitsel B.L, Favorov O.V. & Metz C.B. (1999a). Response of anterior parietal cortex to cutaneous flutter versus vibration. Journal of Neurophysiology. 82(1):16–33. Tommerdahl M, Favorov OV, Whitsel BL. (2005). Effects of high-frequency skin stimulation on SI cortex: mechanisms and functional implications. Somatosensory & Motor Research. 22(3):151–69. Binks A.P., Bloch-Salisbury E., Banzett R.B. & Schwartzstein R.M. (2001). Oscillation of the lung by chestwall vibration. Respiration Physiology. 126(3):245-9. Brunetti O., Botti FM., Roscini M., Brunetti A., Panichi R., Filippi G.M., Biscarini A. & Pettorossi V.E. (2012). Focal vibration of quadriceps muscle enhances leg power and decreases knee joint laxity in female volleyball players. Journal of Sports Medicine and Physical Fitness. 52(6):596-605. Brunetti O., Filippi GM., Lorenzini M., Liti A., Panichi R., Roscini M., Pettorossi V.E. & Cerulli G. (2006). Improvement of posture stability by vibratory stimulation following anterior cruciate ligament reconstruction. Knee Surgery, Sports Traumatology, Arthroscopy. 14(11):1180-7. Burke D., Hagbarth K.E., Lofstedt L. & Wallin B.G. (1976). The response of human muscle spindle endings to vibration during isometric contraction. Journal of Physiology. 261(3):695-711. Eklund G. & Hagbarth K.E. (1966). Normal variability of tonic vibration reflexes in man. Experimental Neurology. 16:80-92. Fattorini L., Ferraresi A., Rodio A., Azzena G.B. & Filippi G.M. (2006). Motor performance changes induced by muscle vibration. European Journal of Applied Physiology. 98(1):79-87. Filippi G.M., Brunetti O., Botti F.M., Panichi R., Roscini M., Camerota F., Cesari M. & Pettorossi V.E. (2009). Improvement of stance control and muscle performance induced by focal muscle vibration in young-elderly women: a randomized controlled trial. Archives of Physical Medicine and Rehabilitation. 90(12):2019-25. Marconi B., Filippi G.M., Koch G., Pecchioli C., Salerno S., Don R., Camerota F., Saraceni V.M. & Caltagirone C. (2008). Long-term effects on motor cortical excitability induced by repeated muscle vibrationduring contraction in healthy subjects. Journal of the Neurological Sciences. 275(1-2):51-9. McMahon C. (1981). Rationale for the use of vibration in management of tactile defensive patients. Australian Journal of Physiotherapy. 27(3):75-80. Oliveri D.J., Lynn K. & Hong CZ. (1989). Increased skin temperature after vibratory stimulation. American Journal of Physical Medicine & Rehabilitation. 68(2):81-5. Rittweger J. (2010). Vibration as an exercise modality: how it may work, and what its potential might be. European Journal of Applied Physiology. 108(5):877-904. Learn how to work effectively with healing sounds! Certificated courses in Ireland for all levels: from beginners to advanced practitioners. For more details and bookings, please contact us.